Now I Have a Machine Gun Ho-Ho-Ho. "Come out to the coast, we'll get together, have a few laughs...". 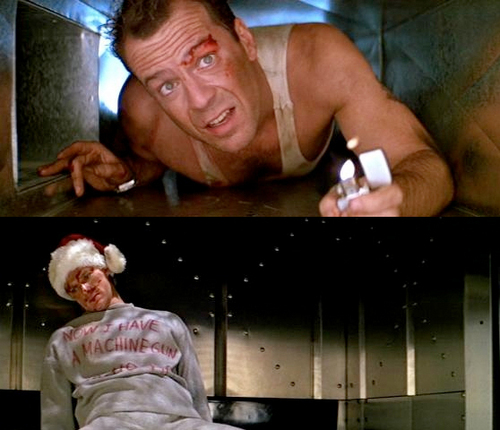 Wallpaper and background images in the Action Films club tagged: die hard john mcclane bruce willis air vent elevator best christmas movie of all time.